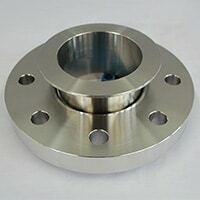 Stainless Steel Flanges Dealer, ANSI B16.5 Monel Flanges, Inconel Flange Exporter, Cu-Ni Flanges, Hastelloy Slip On Flanges, Alloy 20 Socket Weld Flanges, Titanium Flanges, High Nickel Alloy Flanges, SS Blind Flanges, Super Duplex Steel SWRF Flanges, Incoloy SORF Flanges, Alloy 20 Weld Neck Flange Suppliers in Mumbai, India. 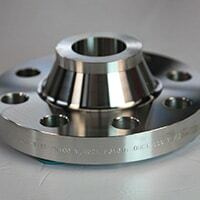 Jaiman Metal Alloys offer a wide range of Flanges, which has some outstanding features such as accurate dimensions, robust design, easy to fit, and so on. We offer the same in different forms and grades such as Nickel 200 / 201 Flanges, Monel 400 / K500 Flanges, Inconel 600 / 601 / 625 / 718 / X-750 Flanges, Incoloy Alloy DS / 800 / 825 Flanges, Hastelloy C276 / C22 / B2 / B3 / X Flanges, Alloy 20 Flanges, Titanium Grade 2 / Grade 5 Flanges, CU-NI 90/10 & CU-NI 70/30 Flanges. 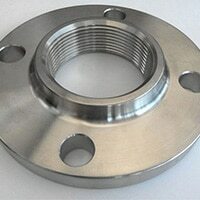 Hastelloy Alloy C276 Spectacle Blind Flange, Monel Alloy K500 Flanges Manufacturer, Stainless Steel 15-5ph Tongue and Groove Flange, Super Duplex Steel S32550 Ring Type Joint Flange, Titanium Alloy Grade 11 Threaded / Screwed Flanges, Steel 253 MA WNRF Flanges, Nickel Alloy 201 RTJ Flanges, Monel K500 Reducing Flange, Cupro Nickel 70/30 Forged Flanges, Hastelloy B2 Long Weld Neck Flange, Alloy 20 Plate Flange Distributors in India. Duplex Steel UNS NO. S31803 / S32205 Flanges, Super Duplex Steel UNS S32550 / UNS S32750 / UNS S32760 Flanges, SMO 254 Flanges, A-286 Flanges, and SS 304 / 304L, 310 / 310S, 316 / 316L, 317 / 317L, 321 / 321H, 347 / 347H, 904L Flanges. We as well offer these products in custom-made sizes and shapes to our clients.